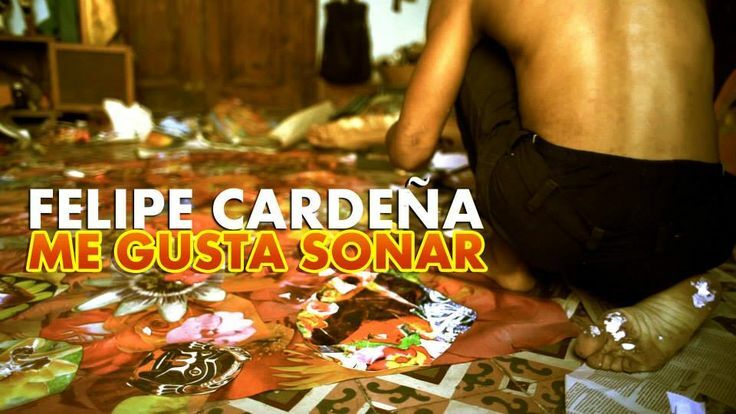 On Saturday 31 January, 10 p.m. 2015, the uncut version of the short film "Me gusta Soñar - La verdadera historia de Felipe Cardena” will be webcast, for the first time ever, live from the Bienal del Fin Del Mundo, in Valparaíso (Chile). The short is directed by the Italian artist Desiderio and is about the life and work of the mysterious (and controversial) artist of Hispanic origin Felipe Cardeña. 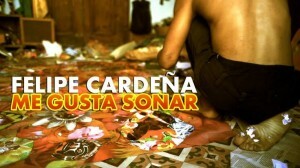 This short film, shot in Cuba by the artist Desiderio - who has now been living for a long time between Italy and Cuba and has already participated in the Festival of Latin American Cinema and in the Havana Biennial - goes over the history of Felipe Cardeña, a versatile and eclectic artist who was referred to by the famous newspaper "Corriere della Sera" as a "mysterious artist in the wake of Banksy’s style", whose biography is elusive and controversial, and who, after making a name for himself thanks to his collages characterized by a floral background, can boast a participation in two editions of the Venice Biennale. 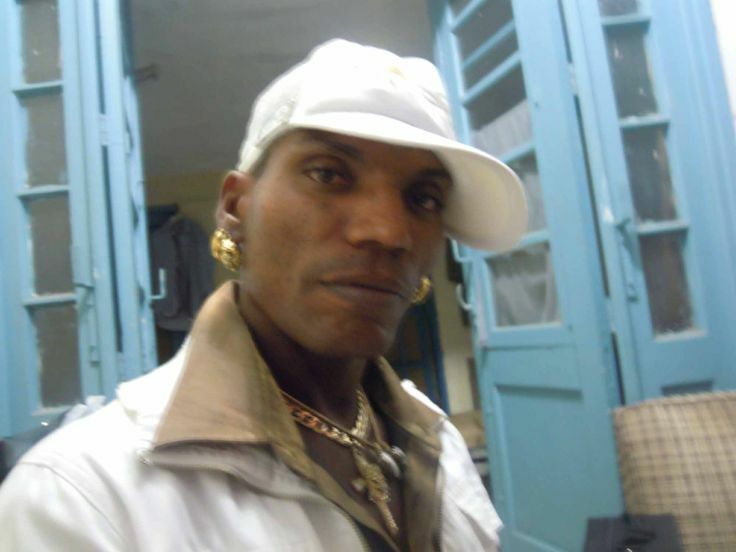 Born in Balaguer, Spain, in 1979, Felipe, a street mime well as an artist, would actually stay for a long time in Havana during his wanderings around the world, as evidenced by this short film. This short is in fact a hybrid motion picture, halfway between a journalistic documentary and a dreamlike and symbolic reconstruction of the evocative atmosphere of Havana and Cardeña’s work, which traces back the artistic ideas and the performances achieved by Felipe (like the large floral poster which portrays the face of el Che, still hanging on a street in the old town centre, called Havana Vieja), the suggestions of his works, with their atmospheres and colours, and reconstructs the passage across the streets of Havana, through the cross testimonies of the many who have known him or have heard about him: starting from barmen, hawkers, retailers, and street people as well as precisely from the street actors and mimes of the Gigantería, an organization based in Havana that brings together the best talented street artists on the Caribbean island, among whom Felipe would work for a long time. A personality who, suspended between reality and imagination, becomes gradually exceptional acrobatic, and even - at times - almost fairy-like: if on the one hand some witnesses have the taste of truth (as is the case of some mimes who tell how the artist worked for some time with them, before "suddenly disappearing" without telling anyone), on the other hand others become instead excessive, paradoxical, to the limit of (and beyond) fantasy. In so doing, we witness the unfolding of the legend of an artist who, even before becoming a protagonist in the art world, had already built his own life as in a strange limbo, suspended between dream and reality, helped in this by the island’s strongly "magic" tone. As a binder of this reconstruction - by half documentary and by half dream-like and symbolic - of the character of Felipe, the director has chosen a street rapper, named Sicario, a strange modern storyteller who goes to the places where Felipe would leave and where, according to testimony, he would live for a long time. 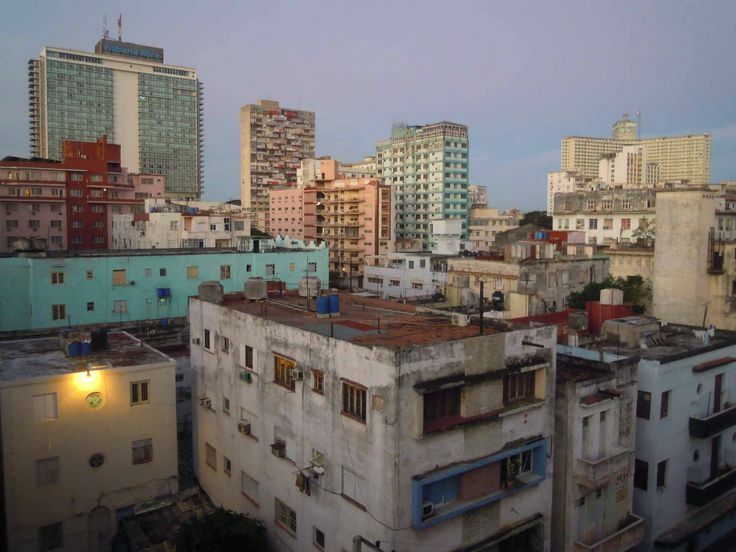 Finally, the science fiction writer Yoss, a popular character in the literary universe, not just Cuban, repeatedly invited to international festivals and literature conventions, reflects on the ambiguous relationship that has always been established – both in visual art as in literature - between true, likely and real. The result on the whole is a fun, crazy, overflowing collage of pictures, testimonials, sensations and visions that tell, along with the character Felipe, the taste of an island that, despite the poverty and hardships of its everyday life, goes on living suspended "entre sueño y realidad" (i.e. “between dream and reality”) .